Decopatch Mini Kit Horse, Pack of 5. 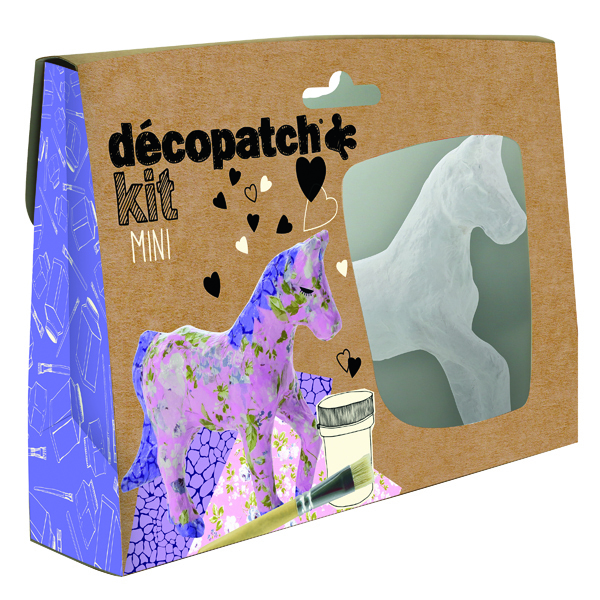 Perfect to encourage an interest in arts and crafts, the Decopatch Mini Kit contains a horse model that can be personalised. Each kit has everything needed to decorate as it contains 1 papier mache model, 1 glue, 1 brush and 2 sheets of decorative paper.